As if we hadn't been waiting long enough already! 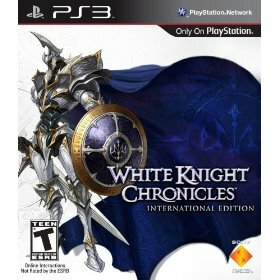 White Knight Chronicles International Edition should be finally available on your friendly neighborhood game store shelves, and is shipping online, as well. Typically, new releases are on Tuesdays, but in this case, it seems the game was delayed a bit longer. I know my copy is on its way for delivery tomorrow, and I'm looking forward to summoning giant suits of armor this weekend. Haven't picked it up yet? Order from Amazon and help support Co-Optimus!